The Congress of the International Society for Eighteenth-Century Studies (ISECS) is the world’s largest meeting of specialists on all aspects of the eighteenth century, and takes place every four years. Recent ISECS conferences have been held in Dublin (1999), Los Angeles (2003), Montpellier (2007) and Graz (2011). The 14th ISECS Congress will be organized in Rotterdam, the Netherlands, from 26 to 31 July 2015. It is organized by the Dutch-Belgian Society of Eighteenth-Century Studies (DBSECS – Werkgroep 18e Eeuw) and is hosted by the Erasmus University Rotterdam on Campus Woudestein. We can welcome more than one thousand participants. The theme of the 14th ISECS Congress is Opening Markets: Trade and Commerce in the 18th Century. The program will include theme-related keynote lectures and sessions, as well as panels and round tables on all topics related to the long eighteenth century (1670-1830). The conference will also facilitate poster presentations. We are looking forward to inspiring lectures, debates and presentations on the conference theme and on all issues regarding the Age of Enlightenment and Sensibility. Pre-registration: You can e-mail the organizers (info@isecs2015.com) a request for pre-registration. By pre-registering, you subscribe to a newsletter that will keep you regularly informed about the organization of the ISECS 2015 Congress, including planned sessions, round tables and other meetings. The online Registration for the ISECS 2015 Congress will open from September 1, 2014 until April 30, 2015. ISECS 2015 is open to all persons interested in topics and issues having to do with the long eighteenth century and the Age of Enlightenment. Membership of an ISECS constituent or affiliated organization is not necessary for registration. The online Registration for the Early Career Eighteenth-Century Scholar Seminar will open in September 2014. The ISECS 2015 Committee invites those interested to organize thematic meetings in the program of the Conference to submit proposals for panel sessions and round tables. The submission of proposals for panels will be open until September 1, 2014. Panel organizers are requested to complete the online form at https://www.etouches.com/eselect/80715. Organizers are asked to supply information about the theme of the proposed panel and the panel members along with an abstract of their contribution to the panel meeting. Panels have a duration of one and a half hours, and should consist of 3 to 4 speakers (depending on the amount of discussion time the panel organizer wants to provide). It is also possible to submit a panel suggestion without concrete panelists or partly filled with panelists. In the coming months, we will present a list with panels accepting proposals on our website. Open panels will also be promoted through our newsletter. The submission of proposals for papers is open until January 12, 2015. Participants in the ISECS 2015 Congress can submit one proposal for an individual paper. In the menu (https://www.etouches.com/eselect/92827), you will find a dropdown box with submitted panels that are open for paper submissions. Here, you can indicate which panel your paper could be part of. Paper proposals are reviewed by the scientific committee and by the panel organizers. The ISECS 2015 Scientific Committee is responsible for organizing the panels in which the papers and posters will be presented. Only registered participants can present individual papers and posters. Participants who intend to submit more than one paper proposal are requested to contact the organizers of the ISECS 2015 Conference (info@isecs2015.com). Are you involved in an interesting project or in an area of work that you would like to discuss with or show to other Conference attendees? Why not present your work in the ISECS Poster Sessions? Your topic could be described on a printed poster or by photographs, graphics and pieces of text that you attach to the presentation panel. Posters in both English and French are welcome. Presenters of a poster will be expected to be present on Tuesday, Wednesday & Thursday 28-30 July, in order to explain their poster and to hand out any leaflets, or other information materials they have available for viewers of their poster. Each presenter can therefore only present one poster. Any organization that submits more than one application should indicate a priority to their submissions. Conference participants interested in presenting a poster should complete the application form on https://www.etouches.com/eselect/92827. It is important that applicants describe how they intend to illustrate the project in the poster format. The poster has to be an experience in itself for the one who looks at it and should show awareness of the poster format. Special consideration will be given to ensure that a variety of topics and geographical/cultural range will be represented. The deadline is January 12, 2015. After the deadline, applications will no longer be accepted. Have a relationship to the theme of the 2015 ISECS Conference. Describe a project that is ongoing or near completion, not one that is yet to start. 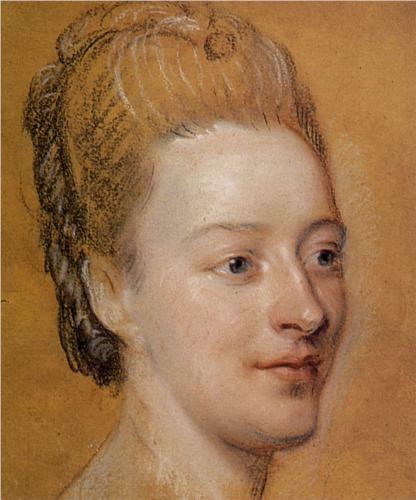 The hysterical despair about the state of her mouth expressed by the Swiss-Dutch writer, 25-year-old Isabelle de Charrière, was a not uncommon Enlightenment reaction. With the entry of sugar into elite and even popular diet over the course of the eighteenth century, toothache could claim to be the mal du siècle. This was all the more anxiety-producing because the smile was becoming in the public sphere the badge of relaxed unstuffy sociability and of healthy virtue. And the new smile of sensibility featured white teeth. Rousseau’s Julie and Samuel Richardson’s Clarissa had shown how it should look. 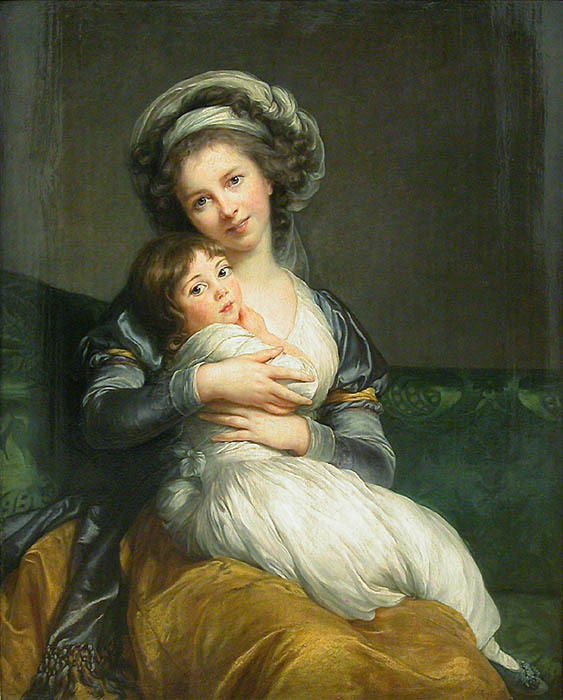 So, more graphically, did Madame Vigée Le Brun: her white tooth smiling portrait displayed at the Salon in 1787 (and still viewable in the Louvre in our own day) caused something of a rumpus in the stuffy art establishment. As I show in my book, The Smile Revolution in eighteenth-century Paris, the emergence of the smile of sensibility owed something to scientific innovation as well as to cultural trends. Modern dentistry emerged at precisely this time, with Paris as its most brilliant champion. The crude tooth-puller of yore now gave way to the dental surgeon who focused on tooth conservation rather than extraction. 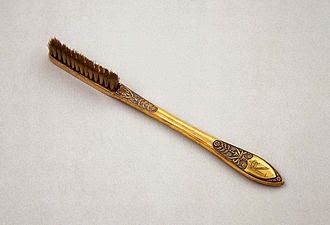 New technologies of tooth maintenance and beautification emerged too, not least the humble toothbrush, which offered individuals a way of keeping Isabelle de Charrière’s nightmare at bay. A toothbrush was soon to be found in the nécessaire of every woman of sensibility, and many a man of feeling too. A ‘Smile Revolution’ appeared to be in the offing in late eighteenth-century Paris. It would take the Revolution of 1789 – and particularly the Terror – to destroy it. Despite this initial outing, the white tooth smile would only conquer western civilisation in the twentieth century. Isabelle de Charrière to Constant d’Hermenches, 6 May 1765. Further reading: C. P. Courtney, Isabelle de Charrière (Belle de Zuylen) (ISBN 978-0-7294-0439-6). Isabelle de Charrière, brilliant letter-writer and gifted novelist, is now recognised as one of the most fascinating literary figures of her time. In this lively and comprehensive biography, Cecil Courtney chronicles her life by making full use of the original sources, notably Belle’s extensive correspondence with many of the leading figures of her time.